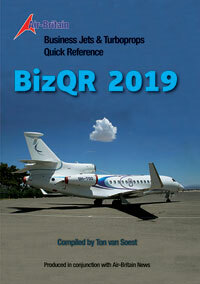 The world’s leading organisation for aviation enthusiasts! Since 1948, Air-Britain has been bringing together spotters, historians, aviation writers, pilots and photographers - all having a passion for aircraft and aviation. Air-Britain is an international organisation with 3,000 members - many of them outside the UK. It is a registered charity (the Air-Britain Trust Ltd.) run by a board of volunteers who are elected by the members of the organisation. Despite its many activities, Air-Britain is a virtual organisation without the trappings of offices and permanent staff. 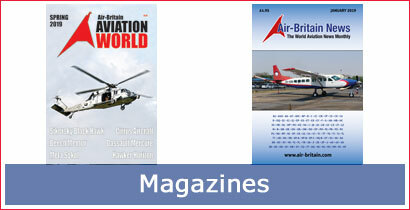 We publish two magazines - the monthly Air-Britain News and the quarterly Aviation World. 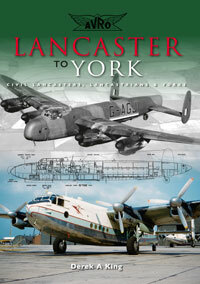 We also produce authoritative books for the spotting community - and historical books on a wide range of aviation topics. Join us here and find out about the many faces of Air-Britain and how it can bring you into the exciting world of aviation. Emirates Airline have completed painting 40 aircraft in their special livery to promote Expo 2020 in the UAE. A bold move as the livery does not include the name of the airline. 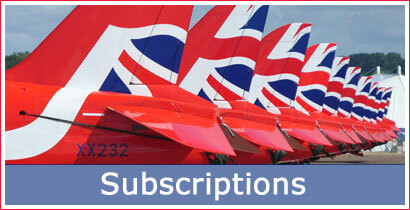 For non-members, we have a special subscription offer for Air-Britain News - an option to subscribe from the current (April 2019) issue for either the rest of 2019 or until December 2020. 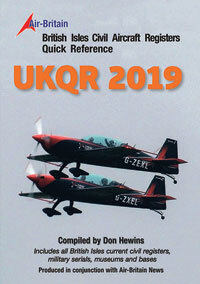 See www.air-britain.co.uk/actmembers/acatalog/UKsubs.html for all the details. 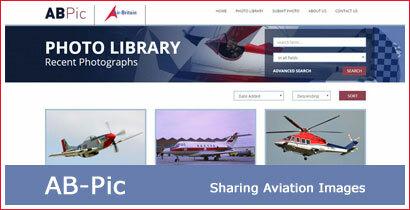 'Air-Britain News (ABN)' is the leading monthly source of detailed data on aircraft registrations. A significant milestone for the Historic Helicopters team. When Robinson R44 G-ILLD was registered last month, it might have just appeared to be another Robinson. But this example marked a significant milestone for importers Sloane Helicopters, as explained below. Sloane Helicopters have been honoured by Robinson Helicopter Co at Heli-Expo 2019 in Atlanta with a particular mention by Kurt Robinson, president and son of the company founder Frank Robinson, as the first distributor to sell 500 Robinson helicopters. The landmark aircraft R44 Raven II MSN 14297 is registered G-ILLD after arriving from the factory in Zamperini Field, Torrance, CA on the outskirts of Los Angeles. The collaboration of Sloane and Robinson predates the FAA certification of the R22, forty years ago this month. The company originally was run with a sales office in Fulham, a training school in a Portakabin at Cranfield and maintenance support by Helitech at Luton. In 1989 Sloane Helicopters established its current facility at Sywell, with the opening ceremony performed by Frank Robinson. Star of the show was G-OSHL, which had only just been registered by the CAA and was the landmark 1000th R22. In November 2019 this aircraft passed 10,000 airframe hours. They also have a maintenance base at Enniskillen in Northern Ireland. 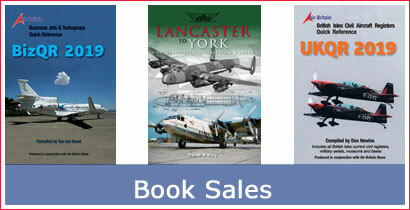 A selection of our latest titles (click any image to visit our online book sales). Why should you join Air Britain? Air-Britain supports the work of the police and other agencies in protecting aviation from criminals and terrorists. If you see anything suspicious, call the Anti-Terrorist Hotline 0800 789321 (+44 800 789321 if outside the UK) or alert the police.